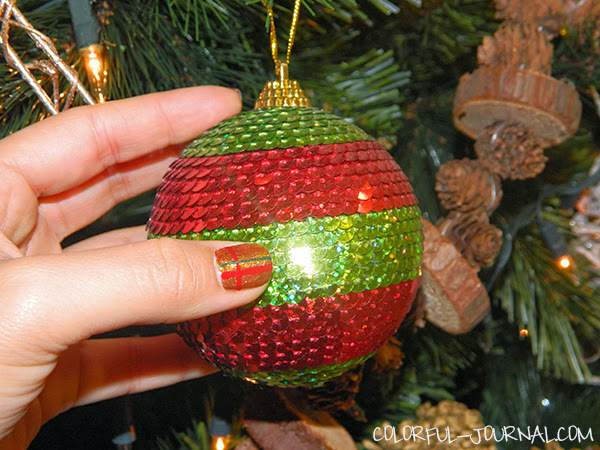 Hi everyone how are you hope that you’re enjoying your holidays shopping, making cards, and looking at your christmas tree that is one of my favorite things to do at night on december. 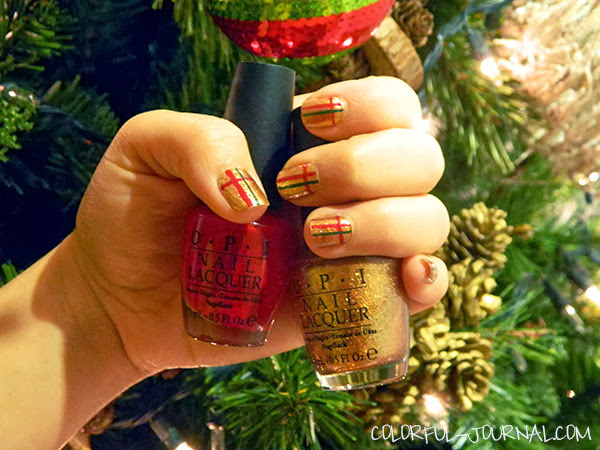 Today I’m sharing with you one example of a manicure for christmas. 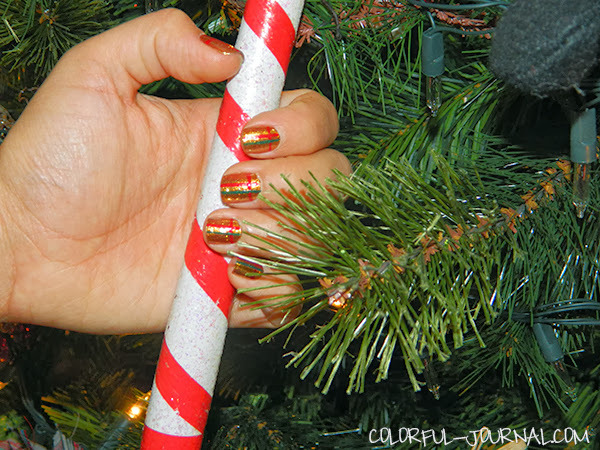 First I put a coat of start to finish base & coat by Opi, then 1 coat of Golden Eye by Opi then to make the stripes I used scotch tape but first try to make it less sticky and of course make sure that the golden coat is totally dry. ‘Emeral City’ – Matte Suede by Revlon. 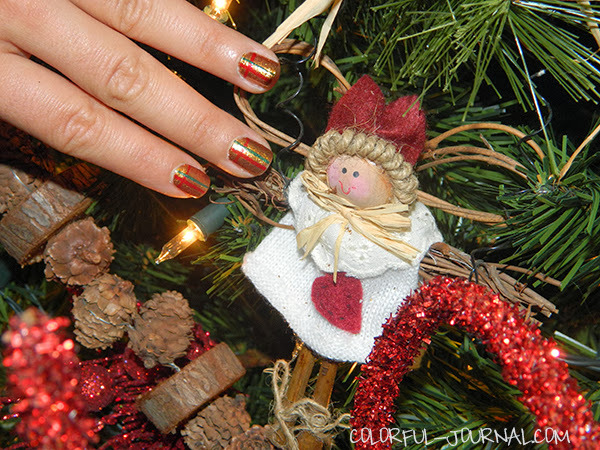 If you want to see another christmas manicure you can see my last year’s manicure here. Gracias Pame, la próxima semana intentaré otra.